​We are asking as many people as possible to sign the attached e-petition to show the Council the strength of feeling in the Town that we have really had enough of large scale housing development in and around Thornbury, the most damaging of which would be the proposed 3,000 houses at Buckover. 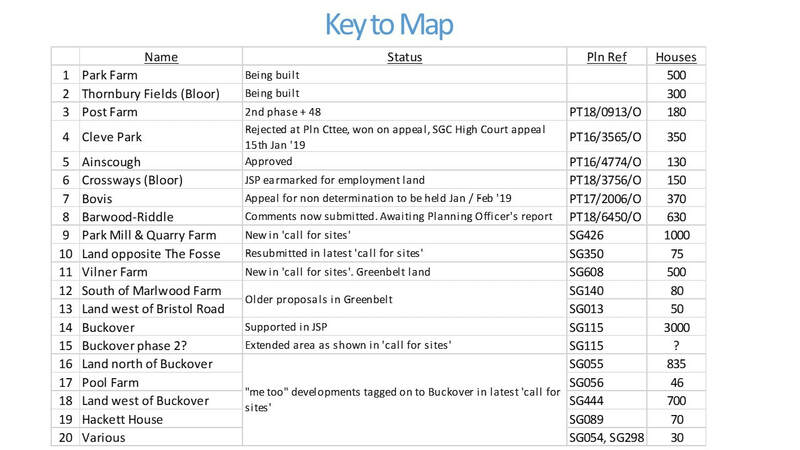 This petition is timed to allow us to get as many signatures as possible ahead of the Examination in Public of the Joint Spatial Plan (JSP), which we understand is scheduled for May of this year. The JSP proposes Buckover as a Strategic Development Site as well as a “maximum of 500 houses” in Thornbury. To withdraw their support for Buckover. The present Council leadership will not agree to this, but if we can get enough signatures, we stand a good chance of getting good press coverage of our plight with the local elections coming up, and to show the JSP Inspectors the strength of feeling on this. 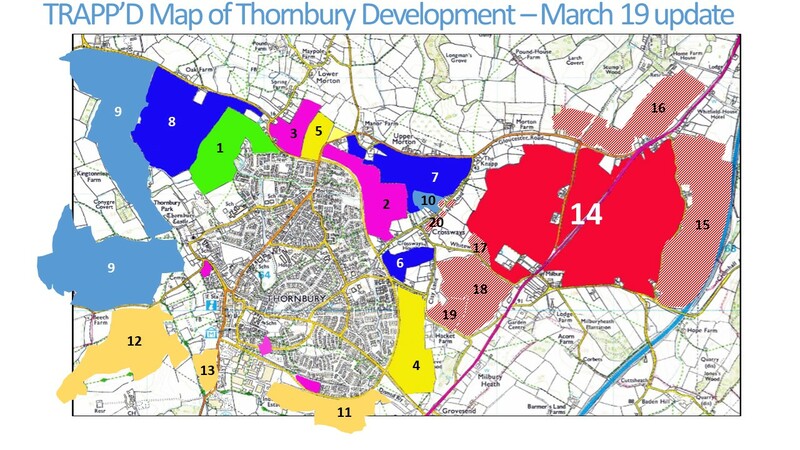 To redraw the green belt around the town and existing permitted developments for better protection for Thornbury against further speculative development. In Thornbury the “maximum of 500” has sadly already been reached with approval of the Ainscough and Cleve Park developments, so the JSP is now the best we can do (apart from Buckover). However, speculators such as Barwood and Bovis will fiercely argue for the idea of a maximum to be removed from the policy on Thornbury, so it is really important to gather a lot of signatures to show the JSP Inspectors the strength of feeling to maintain this ceiling. More importantly, if the Council at some point in the future should fall behind it’s wider development numbers it may no longer be able to show a five-year land supply, and this protection will fall away. We therefore need the added protection that a comprehensive re-drawing of the green belt would bring. We therefore urge you to sign our e-petition, and don’t forget to also forward it friends and neighbours who also care about what happens to our town.